Beauty on a budget? I think yes. If you're an extremely lazy girl who loves makeup on a budget, these hacks are perfect for you. I've been using most of these hacks for as long as I can remember, and I can basically guarantee that they work. 11. Fix old mascara with contact solution. If you find that your mascara is getting clumpy and dry, an easy fix is to pour a couple drops of contact solution to make it good as new. However, mascara should be replaced two to three months after opening, so dryness after this period indicates it's time for a new bottle. 10. The easy way to do ombre nails. 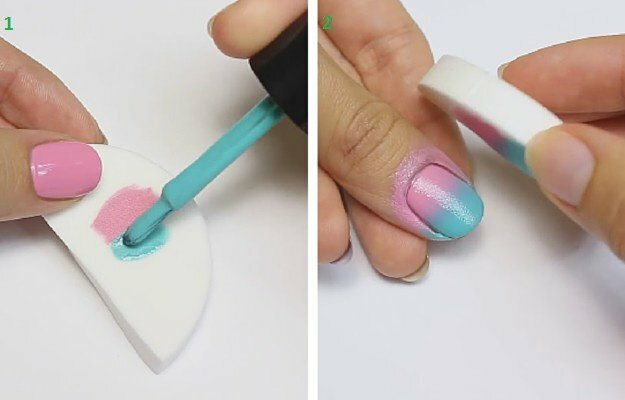 Paint a cotton ball/ beauty sponge with different ombre colors in the desired order and simply press it against your nails before it dries! Once they dry, you can easily remove the nail polish around your skin with remover. 9. Use a business card for winged eyeliner. 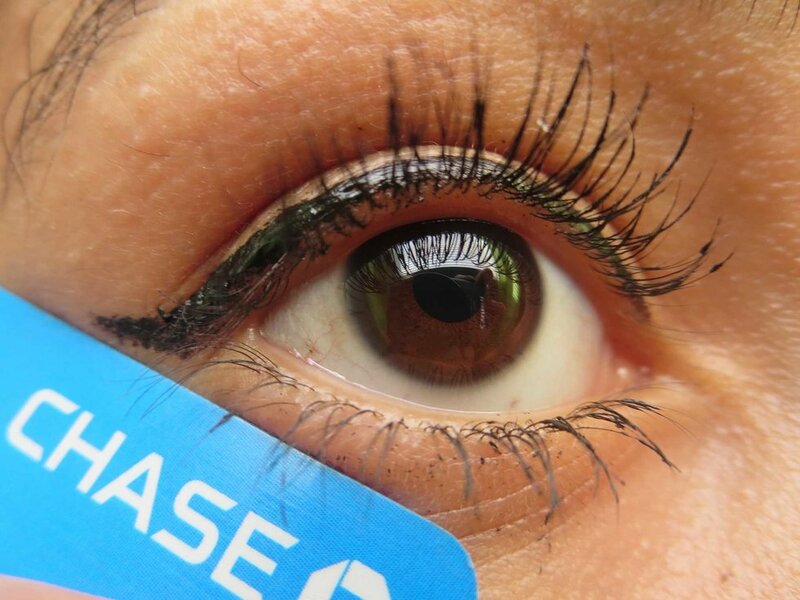 Using a credit card or any small object with a straight line can practically guarantee a perfect cat eye. 8. Use eyeshadow for bald spots. If you have any bald spots in your hair, an easy solution is to find an eyeshadow shade that matches the color of your hair and simply fill in the spot with eyeshadow. Before applying your desired color of eyeshadow or nail polish, apply a white base to make the colors stand out from your skin or nails. 6. Use coconut oil as makeup remover. Instead of spending money on makeup remover filled with harsh chemicals, going natural and using coconut oil is the best option. Although this can be messier, it leaves your skin extremely smooth and it is less likely you'll have a harsh reaction to it. 5. Adding moisturizer to foundation. 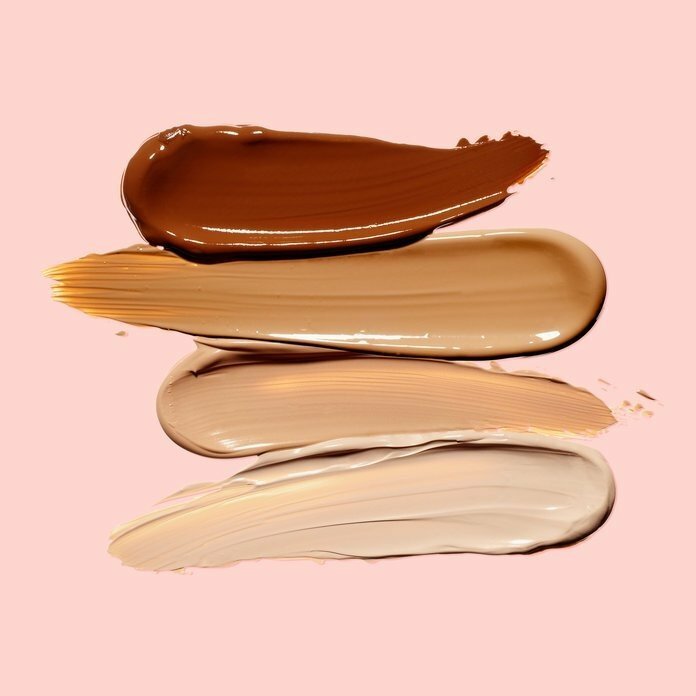 If you accidentally purchase a foundation that's too dark for your skin tone, mixing some moisturizer with it can lighten up the tone (this also works well if you have dry skin). 4. Use a business card for mascara. Not only does this work for winged eyeliner, but using a business card for mascara can also prevent it from getting onto your eyelids. 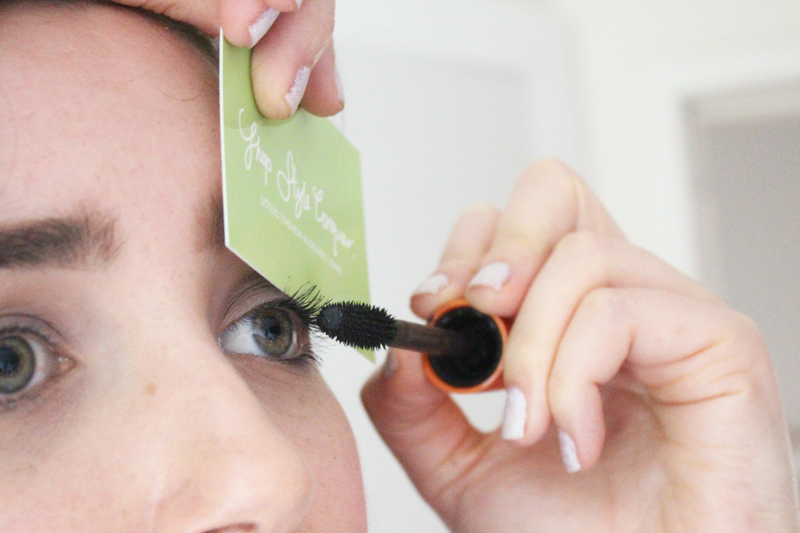 All you have to do is apply your mascara as you normally would, but keep a business card on your eyelid. 3. If you're not sure where to contour, draw the number 3. 2. Make DIY face masks and hair masks. Instead of spending money on skin and hair masks, there are hundreds of natural remedies you can try online for basically every problem. 1. Apply Vaseline to your eyelashes. Applying Vaseline to your eyelashes every night can actually speed up the growth process of your eyelashes and eliminates the need for lash extensions or even mascara.